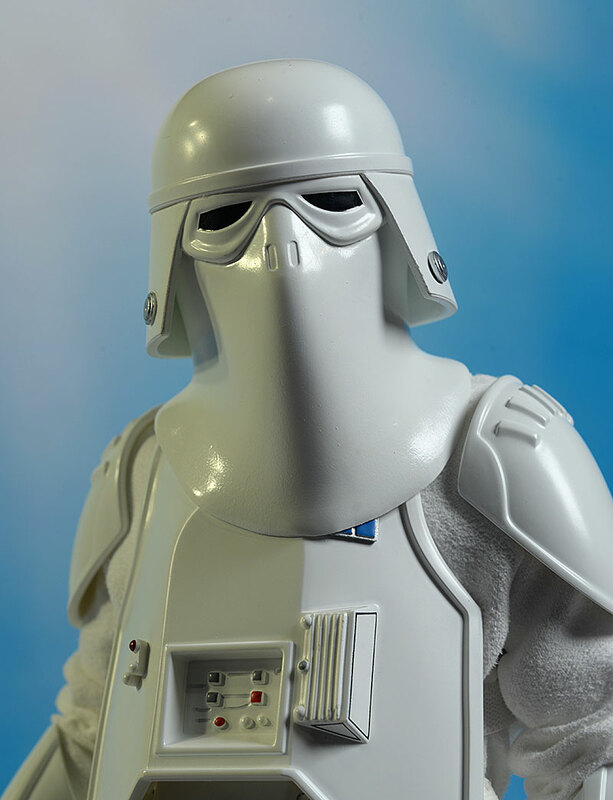 As I mentioned in my recent Hoth Leia review, I'm a Hoth kind of guy. It's one of my favorite sequences in the films, and I really love the costume designs across the board. 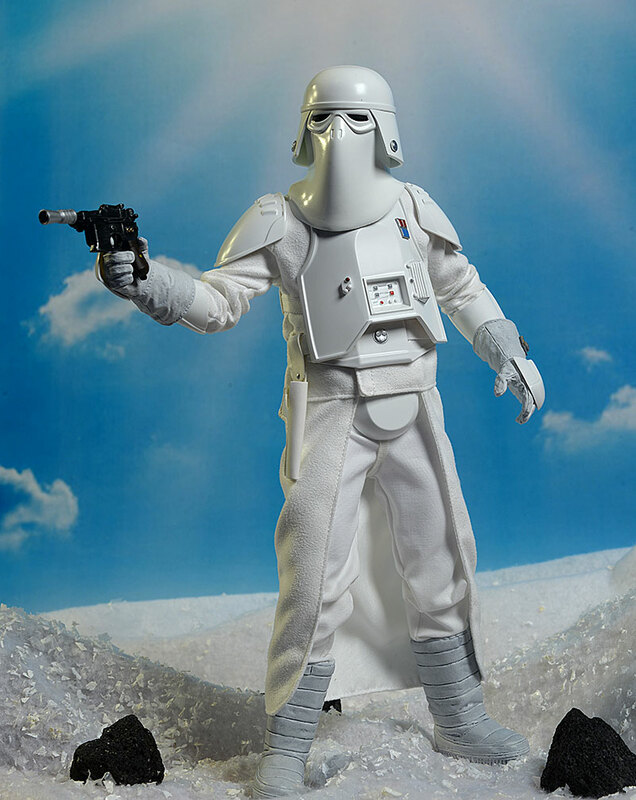 Back in the day, I picked up the Sideshow Snowtrooper and loved him. 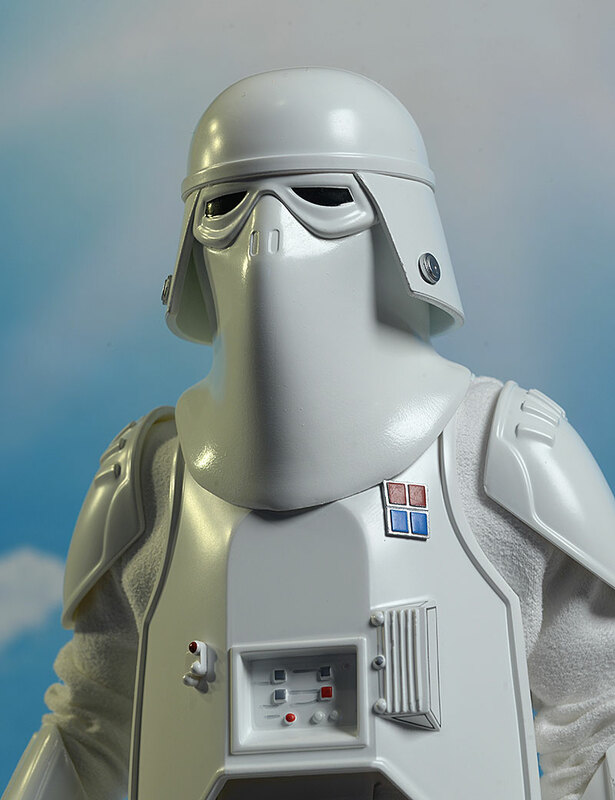 This was when Sideshow was making a concerted effort to up their game, and the Snowtrooper was on par at the time with offerings from other high end sixth scale manufacturers. Of course, the market has continued to evolve, and what was once amazing is now mediocre in comparison. 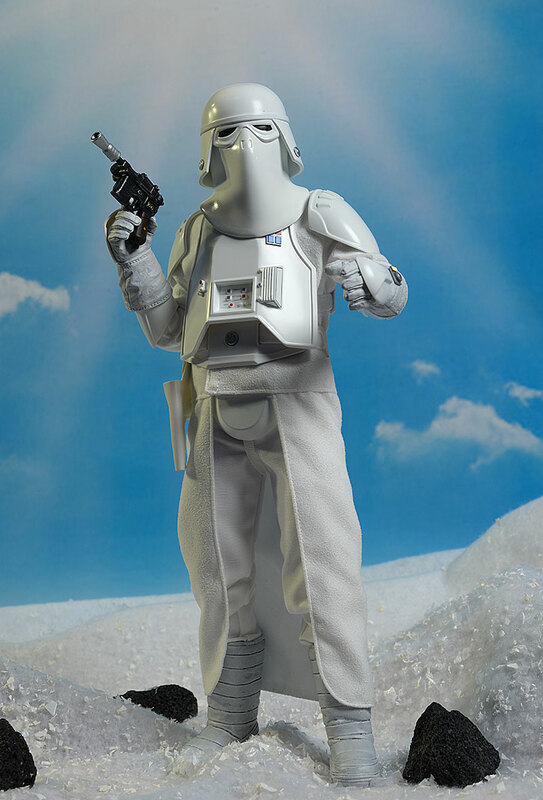 But their Snowtrooper still holds a special place in my heart. When they announced a Commander to go with him, I was all over it like, well, white on snow. He's just started to ship, and will run you around $210, depending on the retailer. Same old same old, but that's not necessarily a bad thing. The box is attractive considering the limitations placed on them by the licensor, and it's all collector friendly. It's not earth shattering or ground breaking, but at this point so little is. They've made some updates here, particularly in the way the rubbery face covering is designed. The helmet and goggles look great, and I'm assuming the little silver doohickeys somehow imply his place in the command chain, much like the squares on his chest. The armor is pretty much straight up from the first version. It was great then...but it's been a few years. I would like to see some improvements, particularly with the fit of the codpiece. But it's still a good looking set of armor, and it does stay tightly in place. The helmet and face covering is new, as I said. The original had the folds sculpted into it - this one is straight, smooth, and stiff. It does adjust though, and you can get the face tilted forward and to the sides with a little care. I like the original with the folds better, but this second design gives you something different on the shelf. He's pretty much standard sixth scale, coming in at about 12 1/4" tall. The various hands are sculpted as gloves, and in poses that work nicely with the accessories. I really like the amount of detail in the gloves as well, and these are certainly a step up from the original. The bright white is unbroken this time - no mud, dirt, or grime. He's spotless, like he just got issued a brand new uniform. The white pieces of armor have a few smaller details added, and they are relatively clean. The buttons and insignia aren't perfect, but solid B work. The work around the lens in the mask could be a little cleaner too, and there's some clumpiness to the white areas here and there. Perhaps the biggest paint issue is with the gloves. The lower half are supposed to be cloth, but the darker white color doesn't really match any of the other pieces. Okay, that's not exactly true - the color does match the boots. But it doesn't look quite right against the backdrop of the very white costume. The underlying base body has all the joints you expect, and all are tight and solid. The neck is a little restricted of course, thanks to the thick face covering. You can tilt and lean the head, but you have to adjust the covering a bit each time to get it where you want it. The shoulders, elbows, and wrists work about as well as they would if this was a real person bundled up in this winter gear. You can get natural arm poses, and he can hold the gun with two hands. The hands themselves also swap pretty easily, and every hand has its own wrist peg. The waist, ab crunch, hips, and knees have a good range of movement, and the soft 'skirt' only interferes slightly. But it's the boots that are a let down, particularly when compared to the original. They've used a one piece design that is thick and clunky - it's a design we got with some other figure, I certainly recognize them...but I can't quite place which figure it was. 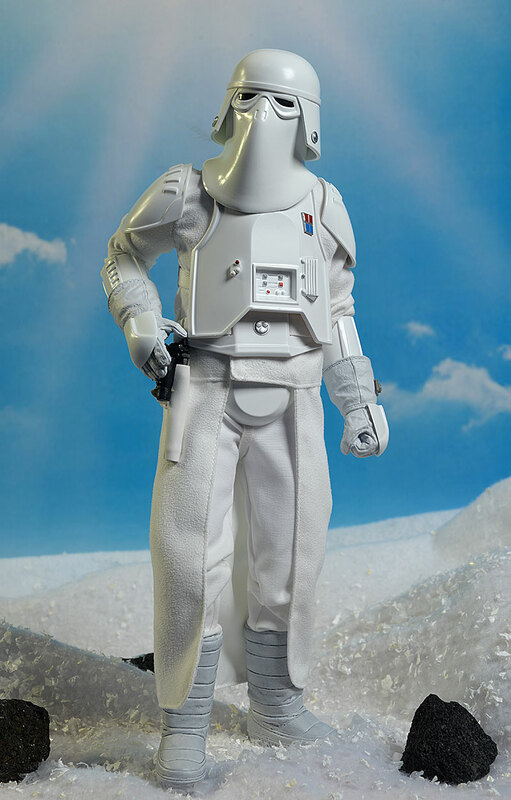 The original Snowtrooper had a cool two piece design that allowed the ankles greater mobility. These take almost all of that away. He's not packing a ton, but there's some key adds. Of course he has extra hands, and like every Sideshow release, each hand comes with its own wrist peg. He comes wearing fists, and there's a set of blaster hands, and a set of relaxed grip hands. He also has the canister, with metal prongs, that attaches to the back of his belt. Nothing new or unique here, but the prongs are quite sturdy. There are two blasters - a short rifle and a pistol. The pistol fits inside a holster on his hip. 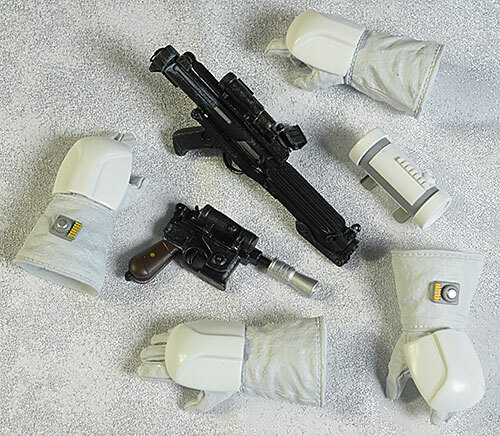 These guns look great, and the blaster is very similar to Han's. Finally, there's a simple display base and crotch support rod. He stands pretty well on his own in the right pose, but it's nice to have the base just in case. 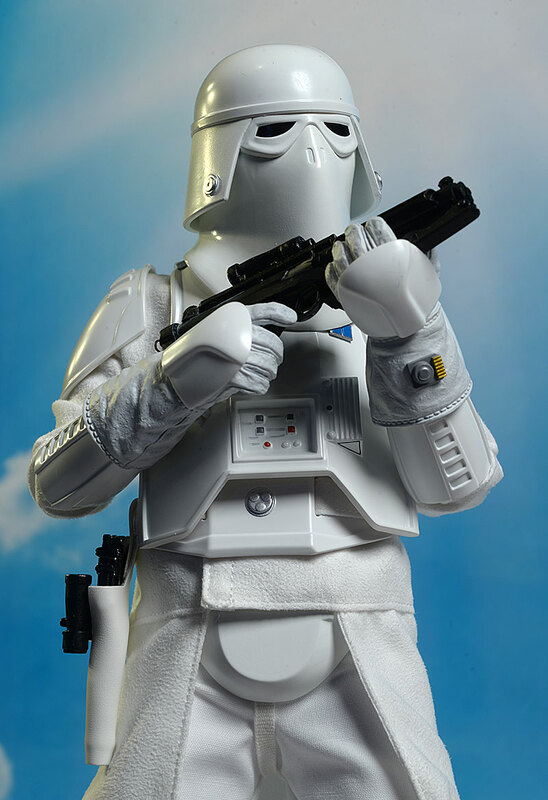 This outfit is very, very similar to the one they produced for the regular trooper back in 2013...but that was five years ago. I'd like to see a few more improvements. The underlying cloth suit is great, as is the soft skirt. It allows the articulation plenty of space, but I'm not quite sold on the super clean appearance. Yea, he's a commander, but these guys still get dirty, no? The armor has some updates, particularly on the chest piece. There's no backpack either, but it's really the helmet where the biggest alterations come in. While the smooth plastic face covering isn't bad, I personally prefer the wrinkled look we had with the original. The other disappointment is the holster for the blaster. It's made from a ridiculously soft, pliable material, so much so that while the gun does fit inside, it feels very fragile and floppy. I was worried about ripping it when putting the gun in or removing it, and when the gun is inside, you'll want to take extra care handling the figure to avoid damage. While I have my nits, this is still a very posable, very displayable, unique looking figure. 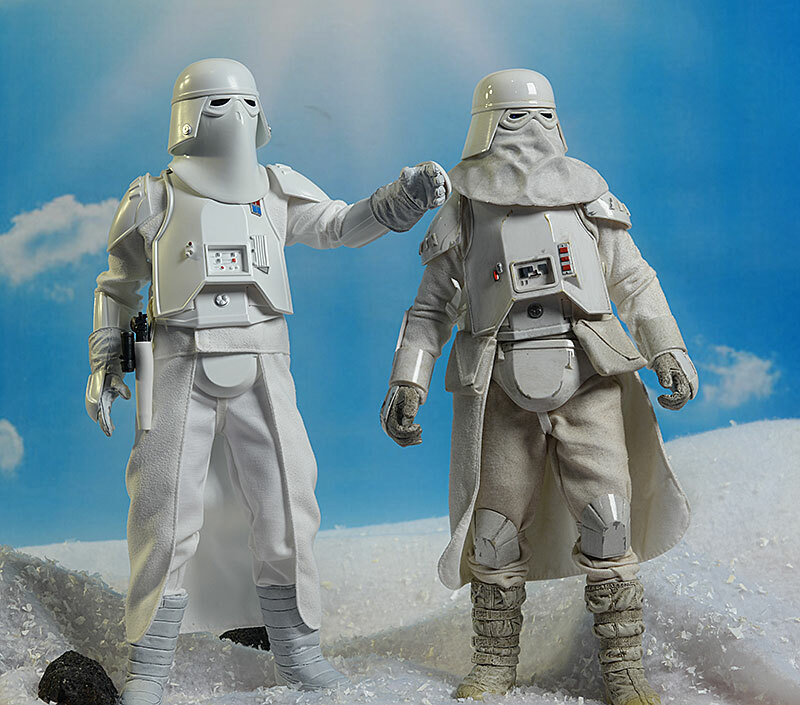 If you're building up the ultimate Hoth display, you'll need a couple to boss around the half dozen Snowtroopers you bought back in the day. Around $200 isn't a bad price for this guy, especially considering the old version from 5 years ago is still selling for almost that much on ebay. If they had given us better boots and a better holster, I would have gone another half star, and brought the value up to an average rating, but those two issues pull him down slightly for me. That holster. It's very soft, and I was concerned that when the gun was in place I'd snag it on something and tear the crap out of it. Be particularly careful when inserting the gun in the first place. This is a solid B figure, decent quality overall, and very attractive on the shelf. There's a couple issues that pull him down - those boots and that holster, largely - but overall I'm pleased. 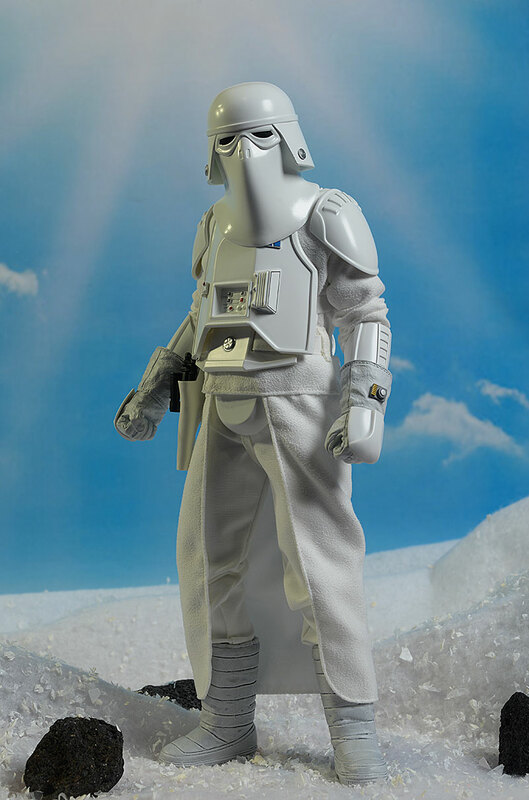 I do wish he'd gotten a bit more of an update in some areas, but he'll still look good with the standard Snowtrooper they put out several years ago. That's not a bad thing - if you invested in one or two or three of those, you really don't want this one to stand out TOO much from the pack. Sure, he's a lot cleaner, but he's the boss. - has him at $209. - also has him for $209. 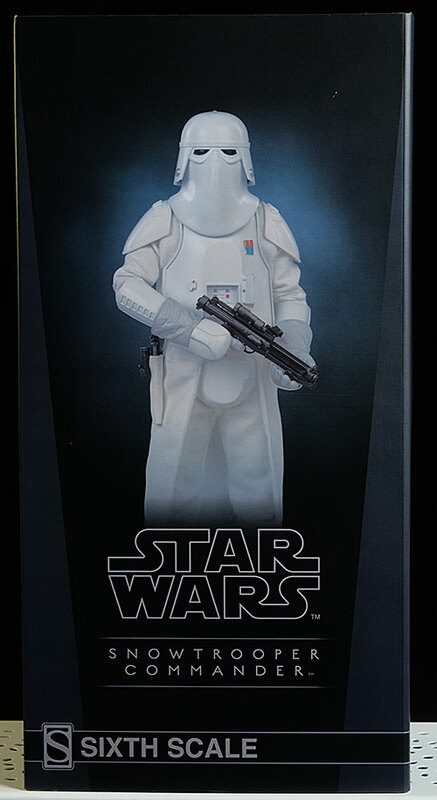 - Sideshow also has him at $209 as well. 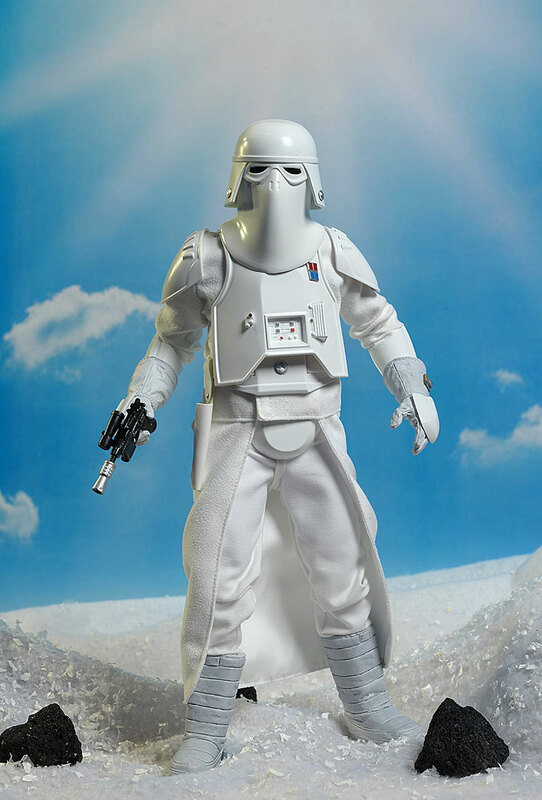 Looking to fill out your Hoth display? 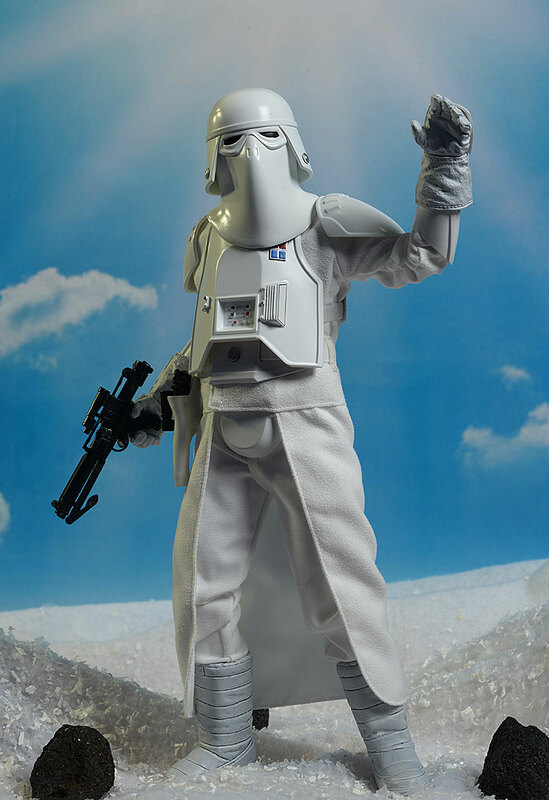 I just reviewed Hot Toys Hoth Leia, and you need Hoth Luke and Hoth Han. Throw in some regular Snowtroopers, a TaunTaun or two, a Heavy Repeating Blaster, and of course, a Probe Droid, and you're all set.